Dylan Thomas may have described it as an ‘ugly, lovely town’, but Swansea is fast becoming known as a modern and desirable city to move to. Having expanded rapidly during the 19th century, Swansea became known as ‘Copperopolis’ because of its copper smelting industry. When that declined in the 20th century, the city lost investment and jobs. But that’s all changing now, as the government and companies invest in the area. Swansea is both a city and a county. As such, this area of south Wales offers a balance of urban living and easy access to some stunning countryside. 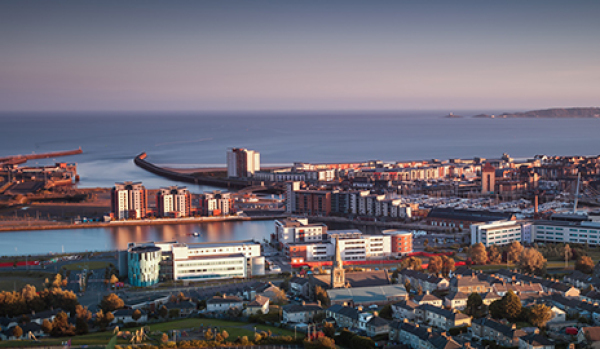 Also known as the 'Waterfront City', Swansea sits on a five-mile stretch of sandy beach with the coastal village, Mumbles, being lauded by many as the best place to live in the country. How much will it cost to buy? For buyers, the current average asking price is £246,514. The table, below, shows how many properties have sold in Swansea over the past 12 months, the average sale price and the current average value based on Zoopla's data. Average asking rents in Swansea currently stand at £788 per month. Renters will need to budget around £801 a month for a two-bedroom flat or £823 a month for a four-bedroom house. Swansea is seeing major development in the city centre with many projects either in progress or forthcoming. The Kingsway area is currently being developed into a city park, envisaging new public areas, improved pedestrian walkways, new cycle routes and the creation of green areas enriched by the planting of around 200 trees. This regeneration plays a part in the vision of a ‘Kingsway digital village’, which will see the creation of workspaces designed for start-ups and small businesses in both the technical and creative industries. Beside the park there are also plans for a 3,500-seater indoor arena - designed to attract more artists to the city - alongside shops, bars, restaurants and five-star hotels. On the coast, Mumbles Pier is also currently undergoing a restoration project. Plans include the renovation of the pavilion, the building of flats and a hotel on the foreshore and the creation of a new coastal boardwalk extending out into the water. With major investment from both the government and private sector, Swansea is truly a city on the rise. With better lifestyle options, sustainable development and the potential for new job opportunities, it is an exciting time for Swansea’s existing residents and those looking to move there or invest. There are several distinct areas of the city, each offering a unique style of living. 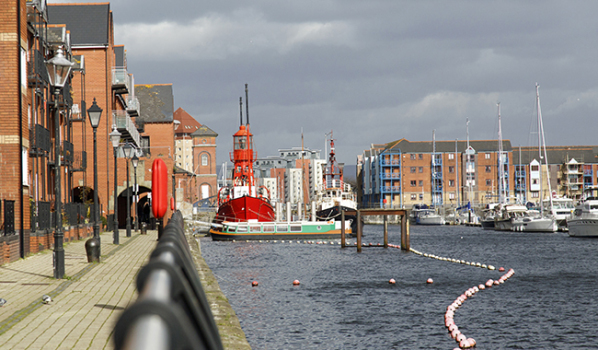 So if you're looking for nice areas to live in Swansea, where do you start? The city centre: The centre of Swansea was heavily bombed during the Blitz in World War II and is now home to a mix of post-war semis and Victorian terraced houses. 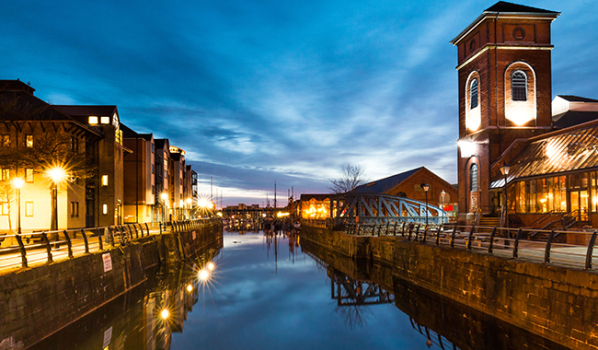 Just a stone’s throw from the city centre shopping, in the Maritime Quarter, you’ll find modern apartments in a marina setting. A couple of miles out of the city on the Gower Road, you’ll find the suburb of Lower Sketty, which is popular for its close community feel. From there it’s also convenient to get into the city as well as to Singleton Park – with its boating lake – and the coast. Outskirts: For more rural and coastal living, try one of the picturesque villages on the Gower Peninsula. Mumbles – where Catherine Zeta-Jones has a home – offers a combination of holiday homes, Victorian villas and even 1960s bungalows for sale. 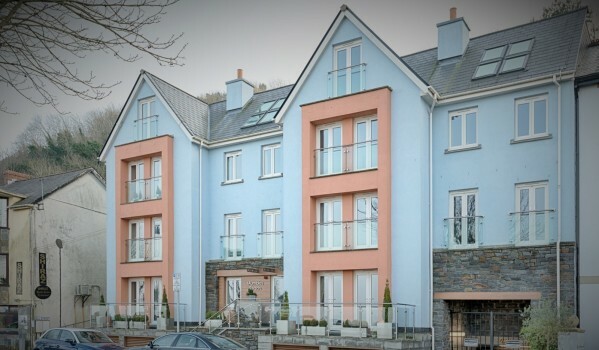 A sea view: Given the city is almost completely surrounded by dramatic coastline, getting a home with a sea view in Swansea should be straightforward – although you may have to pay slightly over the odds for it. 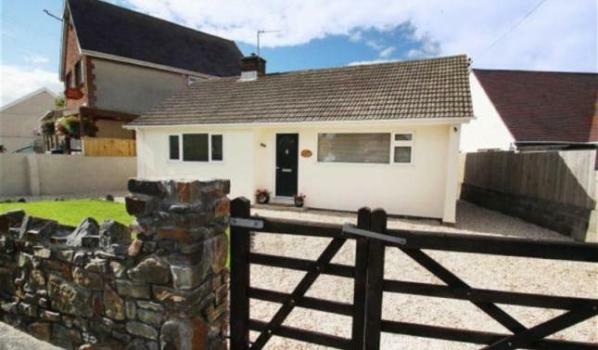 Properties on the Gower Peninsula, for example, can cost more than 50% extra than the rest of Swansea. This is largely because of the idyllic coastal setting and the picture-postcard villages dotted along its length. Horton, in particular, has several stunning detached homes overlooking an unspoilt beach. 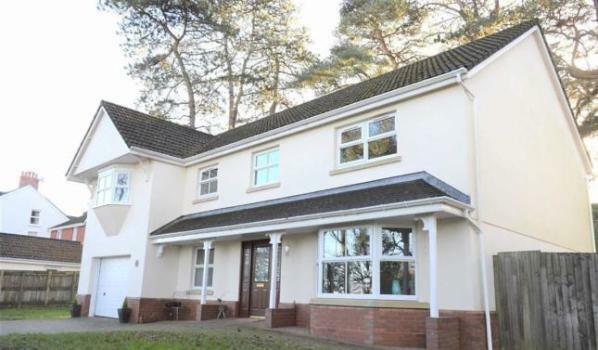 To know what you’re in for, check the most up-to-date house prices here at Zoopla. ... for the first-time buyer? This charming two-bedroom terrace is well-priced and brimming with potential. The property needs some modernisation, making it a great project for a first-time buyer. With unique original features – such as ornate fireplaces and elegant coving – a keen-eye will make this home truly dazzle. With the added bonuses of an attic and a garden complete with a shed, this house is an absolute steal. Charming on the outside and immaculate on the inside, this Edwardian-era property offers everything you would want from a family home. Alongside generous-sized bedrooms there's also the benefit of two reception rooms and a good-sized garden. 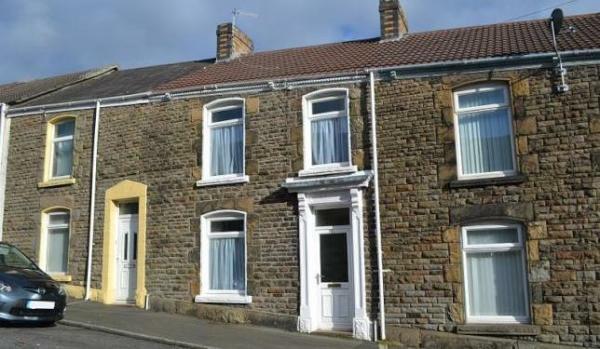 The house is also located in a popular location, close to a range of amenities and in the catchment area of both Welsh and English speaking schools. For those wanting to experience life in one of the top-rated places to live in Wales, this two-bedroom apartment in Mumbles is an ideal rental. 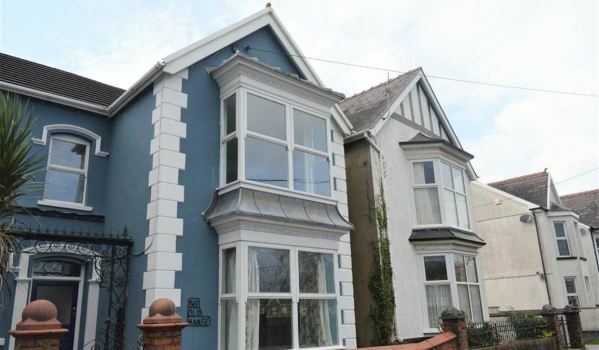 The surprisingly spacious property sits directly opposite the sea and along with amazing views of Swansea Bay, it boasts a modern kitchen and a master bedroom with an ensuite bathroom, which make for comfortable living. ... with the biggest discount? With over 30% knocked off the asking price over the last year, this gorgeous bungalow is a steal, but it does come with one glitch. As a non-standard construction, the house will be considered as higher-risk by insurers. This, however, should not put off all potential buyers. With its close proximity to stunning beaches, it could be a perfect holiday-let investment or an idyllic downsize option. With the right insurer, it could be a great opportunity to buy a beautiful bungalow in a superb location. With five bedrooms, three reception rooms and three bathrooms, this eye-catching property is the perfect base for a large family. Set in a desirable location nearby to amenities and esteemed schools, it’s no wonder this house is proving popular. To tops things off, you can also enjoy views of Felinde Hills from the comfort of your own home. The Dylan Thomas Centre in the Maritime Quarter pays homage to one of the city’s greatest exports. Here you can learn more about the poet and explore exhibitions about his life and connections with the local area. The Gower Peninsula was the first place in the UK to receive the title of Area of Outstanding Natural Beauty. 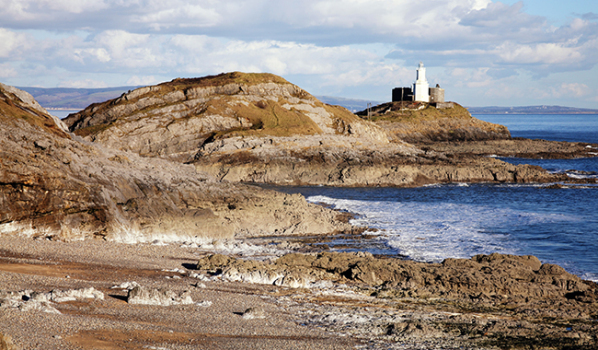 Combining coastline and countryside, it’s ideal for long, rambling walks. While there, you can traverse the cliffs and moors or amble along some of the most beautiful beaches in the UK. The most renowned are Rhossili Bay, Caswell Bay and Langland Bay. Each of them boasts white sand and a quiet setting – perfect for relaxing or walking the dog. Swansea has a vibrant bar and club scene as well as lots of great restaurants: from amazing artisan pizzas at the Belle Vue Bistro to dainty nouvelle cuisine at Slice, Mediterranean tapas at Mosaic and stunning Thai food at Lotus. For a superb Sunday roast in the heart of the city, head to No Sign Wine Bar on Wind Street, regarded as the oldest pub in Swansea. A trip to the seaside is incomplete without a portion fish and chips, but Gower Seafood Hut - as the name suggests - offers top-notch seafood to enjoy on the promenade in Mumbles. Once at the heart of the copper industry, a massive 90% of the city now works in the service sector, which includes healthcare, banking, public administration, transport, restaurants and hotels. If you’ve had to send your driving licence away recently, you probably had to send it to Swansea, to the DVLA offices at Morriston. Maintaining the nation’s motoring records falls squarely in the lap of Swansea residents. Several big-name consumer brands also have offices in town, including Admiral Group, HSBC, BT, Virgin Atlantic, Amazon.co.uk and fashion and homeware brand Toast. The education sector is also a big employer. Swansea University has two campuses in the city, as does the University of Wales Trinity Saint David, along with Gower College Swansea. New developments are set to bring 1,700 new jobs to the city in the customer service and hospitality sectors in the near future. Getting to and from Swansea is easy enough by road. The M4 motorway connects it to London, while the A48 former trunk road connects it to other towns and cities in Wales, including Neath, Port Talbot and Cardiff. If you don’t drive (or just try to stay away from traffic), Swansea Railway Station connects the city to Cardiff, Newport and London, as well as several smaller towns in Wales, such as Milford Haven and Llanelli. The number of Welsh medium schools (schools that teach entirely in Welsh) in Swansea has increased in the last decade. A total of 13% of the population now speaks Welsh and the education sector is moving to meet the needs of the community. Pontarddulais Comprehensive in Pontarddulais – half-an-hour from the city centre – is amongst the best state-funded school in Wales. Welsh medium Ysgol Gyfun Gwyr – to the west – is also a top performer in Swansea. Not a bad benchmark if you are a parent looking to move to the area. 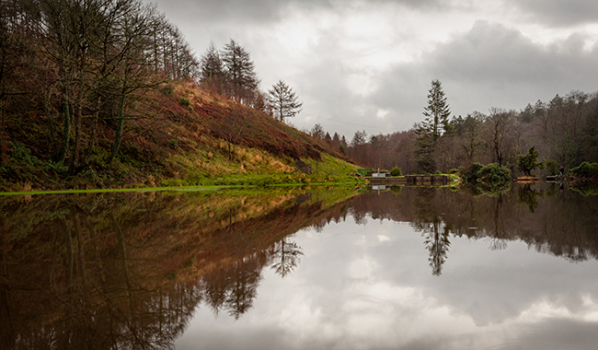 Set in the grounds of a former stately home, just a few miles north of Swansea is the Penllergare Valley Woods – a community space on the Penllergare Estate. Filled with wildlife and local plants, it is free to enter and even has a café on site. If you’re really lucky you might even spot an otter.